Alvis TA14 Three position Drop Head Coupe. Presented in Gloss Black with an Alvis Red top. 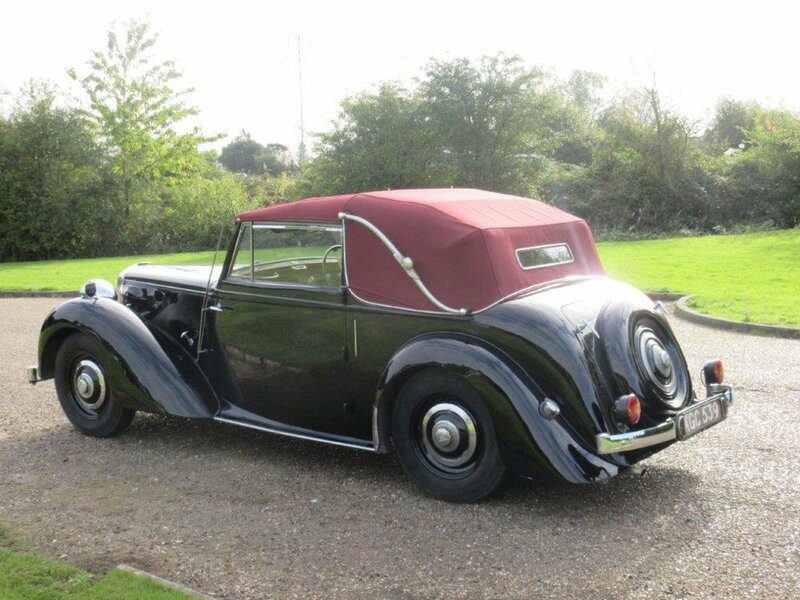 Mulberry leather, carpets radio, rear mounted spare, driving lamps are all included in the History portfolio. 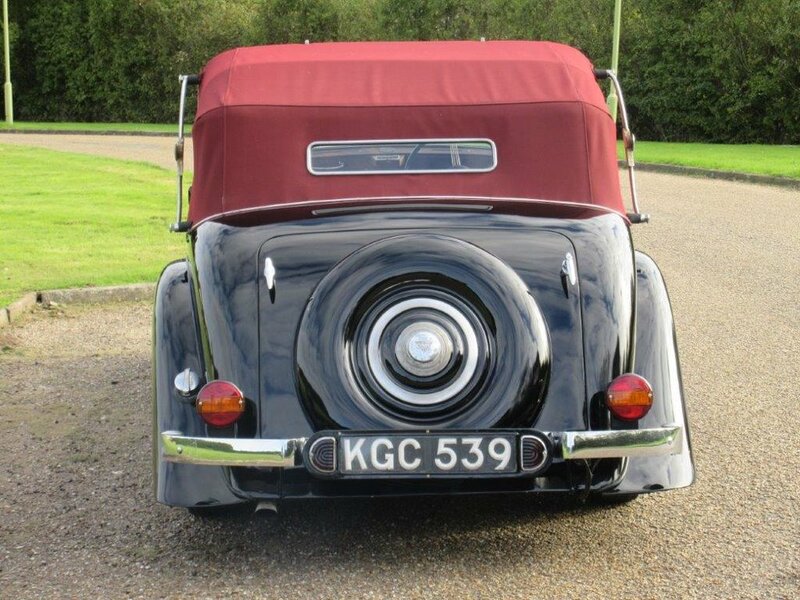 This is a very rare and rather striking example with the original factory ordered carbody’s DHC by Tickford. The 3 position convertible coachwork, which was subject to a body off restoration, is detailed and photographed in the history file. We have driven her some distance without any faults and the oil pressure is correct, it is cooling and charging correctly with a smooth gear change and she uses unleaded fuel. The vehicle is in superior order and has a fresh Mot inspection test and Road tax free if it was still in the UK but it’s wonderfully in New Hampshire!